This original suit includes a red corset, green miniskirt, and yellow cape with matching details and a dark eye mask. Upload your photos to Instagram with the hashtag #funidelia followed by #funidelia02241. 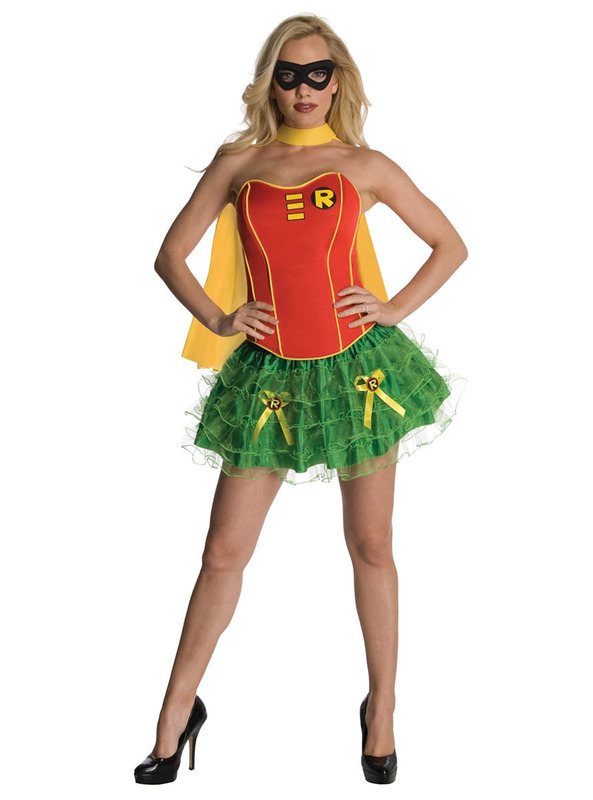 Product Rating: "Batman's Robin Secret Wishes Woman Adult Costume"